Stock picking is an exercise in humility. Ask anyone who has tried it. Chances are their best ideas have gone against them more frequently than they’d care to admit. One thing that makes stock picking so confounding, is that it seems so simple in hindsight. Gazing at a stock’s price chart, the wave movements over time appear to be almost predictable. The precise moments to buy and sell look clear and obvious. Of course, knowing these inflection points in advance is the real trick. Timing the inhales and exhales of the market with consistency is generally a transitory endeavor. Nonetheless, there’s no shortage of theories on how to go about it. One popular theory, for example, is to gaze at stock price waves without blinking. After several minutes, you’re supposed to zoom in and back out and then back in again. According to the theory, if you peer in deep enough you can see the mass psychology of the market manifesting in golden ratio fractal patterns. 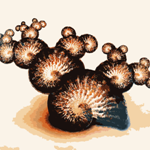 If you’re doing it right, they even jump out like the spiral arrays of a snail shell…or the Milky Way galaxy. What’s more, if you close your eyes, and open your ears, you can hear the movements like a guitar soloist walking his fingers up and down the fretboard over a minor pentatonic scale. If you listen long enough you hear repetitions – up, up, down, up, down. You can then anticipate – and predict – what note will be played next. Here at the Economic Prism we’ve never quite gotten the hang of how to apply the Fibonacci sequence to markets. Perhaps we’ve always zoomed in too close…or out too far. Perhaps it’s all nonsense. We really don’t know. But for one reason or another, we’ve never been able to discern a pattern we could make forward trading decisions from. To the contrary, we prefer investing to trading. Specifically, a value investing strategy based on fundamental analysis makes more sense to our soft skull than front running indiscernible wave patterns. Buy low. Sell high. That’s the key to getting rich from stocks, right? Yet even a value investing strategy is not without its pitfalls. What happens, for instance, if you buy low and then the stock moves lower? What should you do? Should you double down? 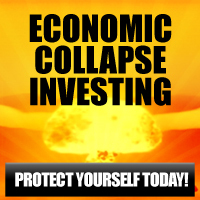 Should you dig in, hunker down, and ride it out until one day – maybe in the distant future – the stock price goes up? 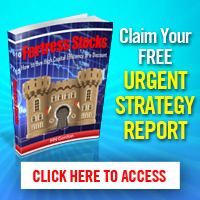 Should you follow a stop loss strategy for cutting your losses and searching for greener pastures? What if it we’re in a bull market? What if we’re in a bear market? What then? These, indeed, are the questions. But what are the answers? Like determining the value of fine art, or who should be the next president, these are conclusions each individual must come to according to their own unique preferences. Naturally, any old answer is right at one time or another. Moreover, the absolute correct answer one day is the absolute wrong answer the next day. So, too, the absolute wrong answer one day is the absolute right answer the next. In other words, buying an S&P 500 index fund has beaten 4 out of 5 fund managers so far this year. If the pros, with all their expert analysts and high cost research, can’t beat the market, how’s the average investor even stand a chance? One answer is that they don’t. By this respect, the average investor would be far better off buying a low cost index fund than attempting to beat the market. Ultimately, saving and investing is a lifelong process. How you go about it is reflective of how you go about life. Are you after a life that’s interesting, engaging, and, at times, agonizing? Or do you prefer the mundane? Regardless, there are no guarantees of success. But the potential to do better than the market is a stimulating motivator. The mere prospect of beating the market, in our opinion, is too rich to pass up. 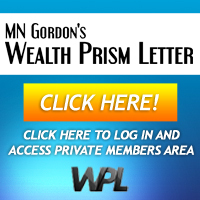 Hence, in our new newsletter, MN Gordon’s Wealth Prism Letter, we intend to do just that…and have a little fun in the process. You can learn more about this new endeavor, here. This entry was posted in MN Gordon, Stock Market and tagged buy low sell high, fibonacci sequence, golden ratio, S&P 500, value investing. Bookmark the permalink.